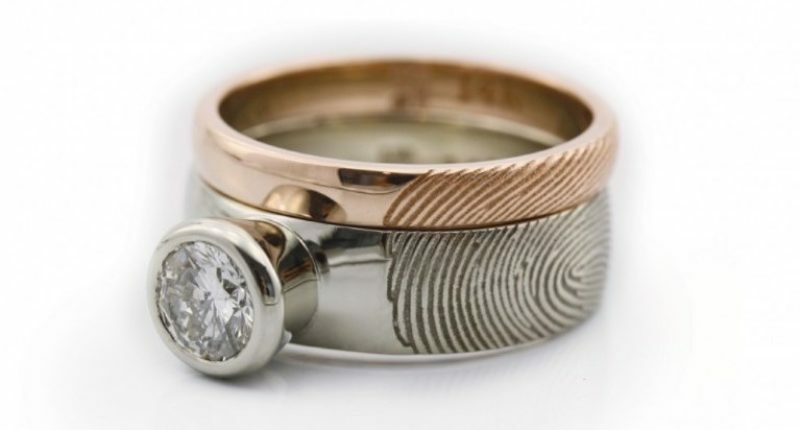 Nowadays, technologies are revolutionizing the way we live, how we communicate, how we create. New frontiers and possibilities that let us think about new shapes and, especially in the case of 3D printing, give us the opportunity to carry out projects in a easier, faster and cheaper way, that extend to everybody the accessibility of our work. But the charm of the ancient crafts, requiring an extreme patience and attention to details, will always be unchanged, especially in Italy, a land so full of artisan knowledge and history. Being able to look at and experience first hand the creations of those who lived hundreds, even thousands, of years ago is not only a privilege, but a right. 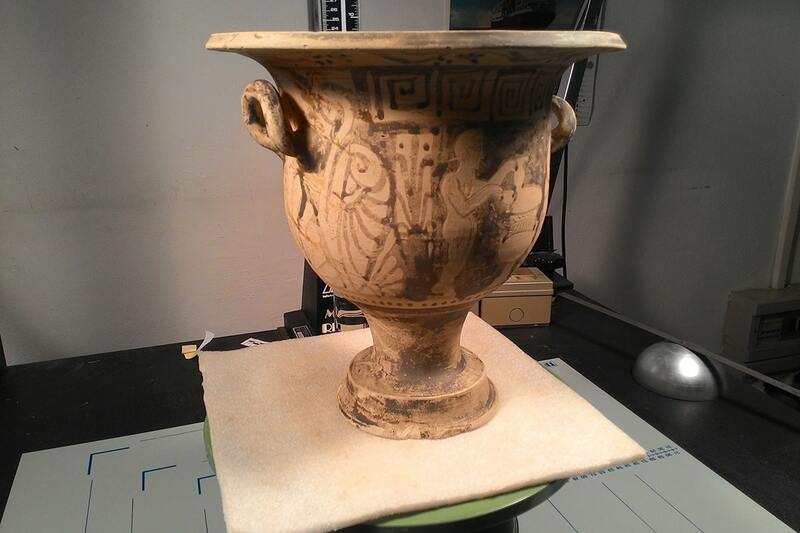 Dealing with the cultural heritage is not new for 3DZ, which counts major collaborations in the field, among which the Cultural Association 3D Lab, founded in 2014 to support 3D ArcheoLab, a project born to enhance the cultural heritage of our museums relying on innovative technologies that enable the fruition of the works even to those excluded until now. 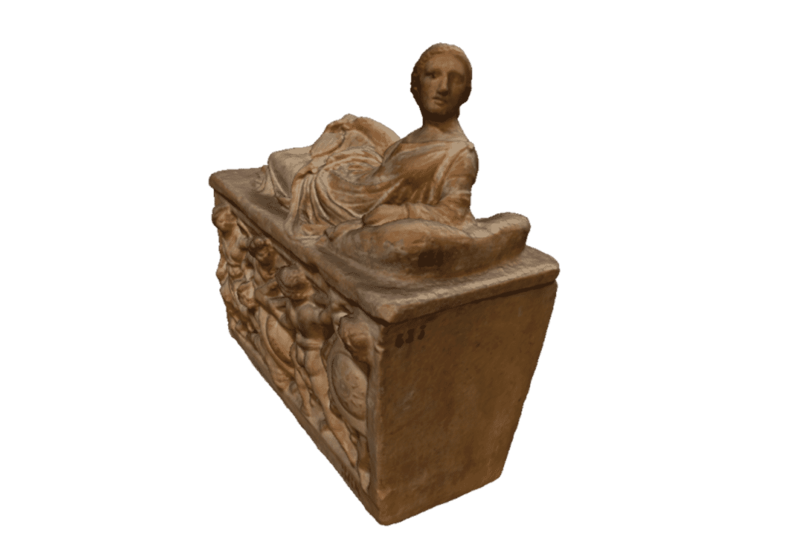 Thanks to the solutions offered by the 3D printing, scanning and modeling, is now possible to really guarantee the accessibility of the collections, both in terms of experience and economically. The interest of 3DZ Group in cultural heritage preservation has always been turned on, as in the case of our participation as a sponsor in TechnologyForAll, the main Italian trade show dedicated to smart technologies. Ensuring support and collaboration to this kind of innovative companies is a priority, particularly when we are talking about companies that see in new technologies a means of improving some life issues. 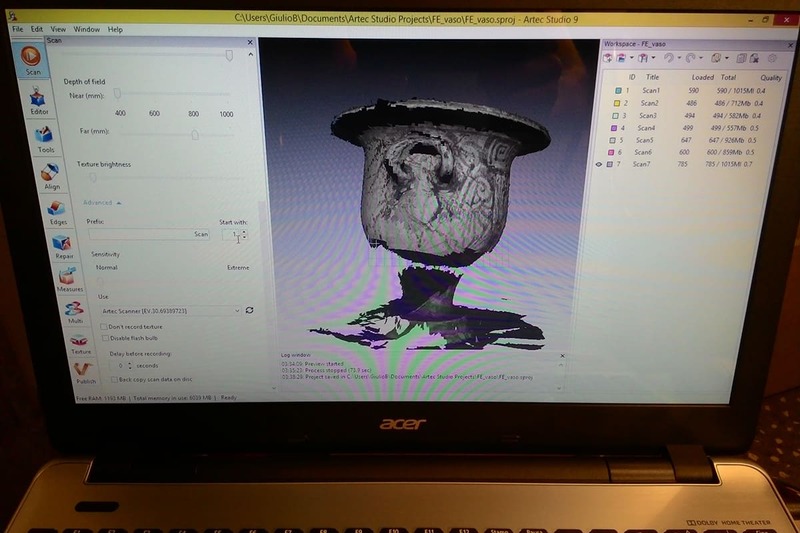 Giulio Bigliardi, 3D Archeolab co-founder, provides training and online divulging in the field of cultural heritage and, with the 3D Lab Cultural Association, was one of the winners of the regional competition Incredibol! 2014/2015, with a project submitted together with La Griobussola NPO and Emanuel Demetrescu. 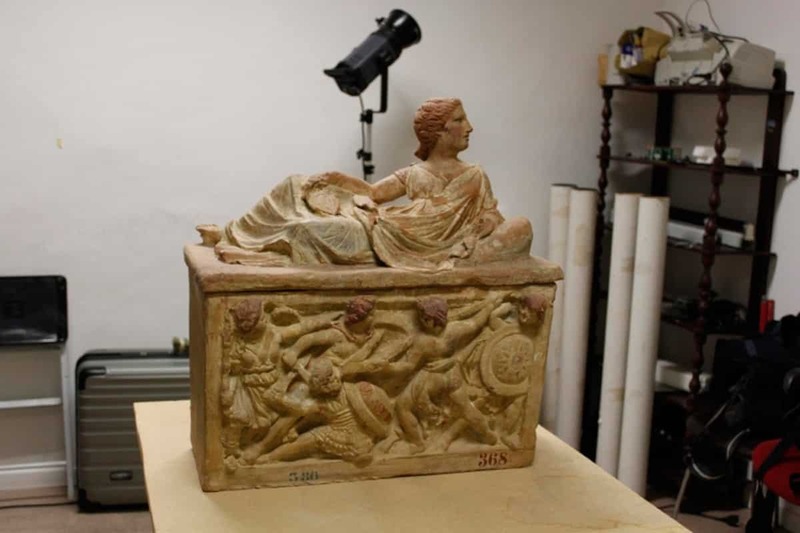 Tells Bigliardi: “Thanks to this contribution and to the collaboration of the Superintendence for Archaeological Heritage of Emilia-Romagna, we finally have the opportunity to apply our ideas in two museums: the National Etruscan Museum of Marzabotto and the National Archaeological Museum of Ferrara”. One of the proposed solutions to enhance accessibility concerns the setting up of a tactile path for blind people and visually impaired. The path consists of 3D printing replicas, tactile cards and audio guides. Some of the most interesting and representative findings of each museum were then intended first to the scan then to the 3D printing. The detection of the crater is part of the project and the finding dates back to a period between 540 and half of the third century BC. It is currently preserved in the National Archaeological Museum of Ferrara. The survey of the crater has been done using an Artec Eva 3D scanner (distributed in Italy by 3DZ). 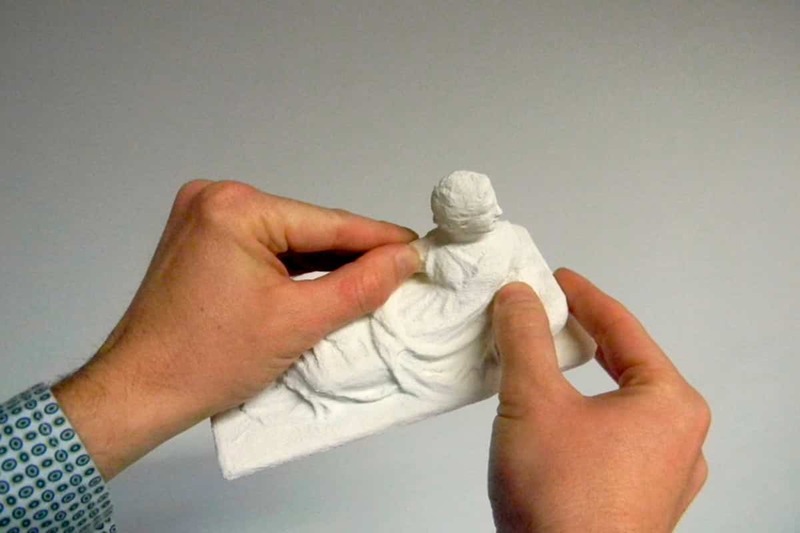 Artec 3D Scanners are a family of three-dimensional scanners easy to transport, easy to use and very handy, particularly suitable in situations with logistics difficulties, as the Museums, where it is not always possible to move the findings from the windows or put them in the ideal scanning position. 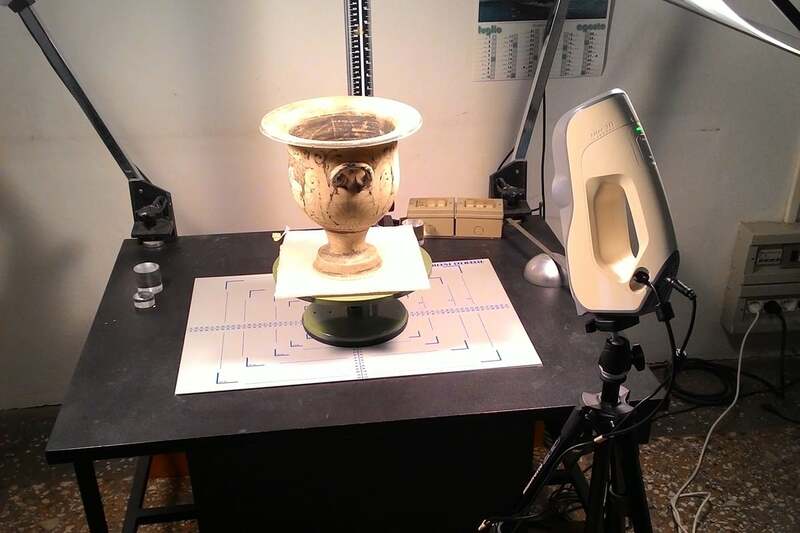 In addition to these qualities there is the high 3D scanning speed, which in this case made possible to digitalize the finding in a few minutes: the scanner essentially behaves like a 3D camera that captures three-dimensional shapes by simply filming an object with the device. 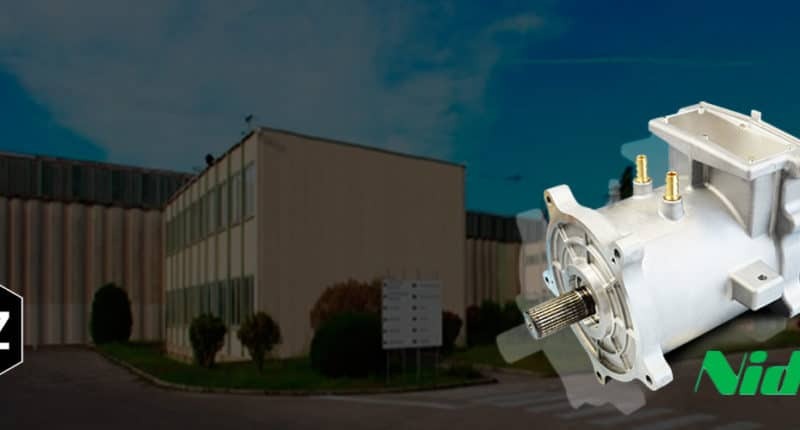 In fact, the software provided together with these systems can recognize the geometry of the solid and automatically align the 3D images detected without the use of any kind of marker.